Gorgeous photos and interface make for an intimate, easy apartment hunting experience. It's time to let Nooklyn free you from the shackles of hefty brokers’ fees and sketchy Craigslist posts! 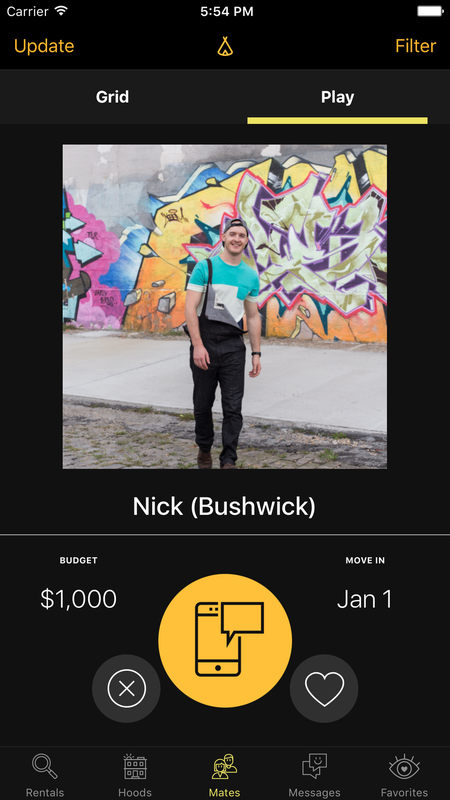 The popular website that connects young Brooklynites to apartments has gone mobile with a brand new app which helps to conquer the much-discussed woes of finding a place to live in this crazed city. Easy to use features (brownie points for UX!) 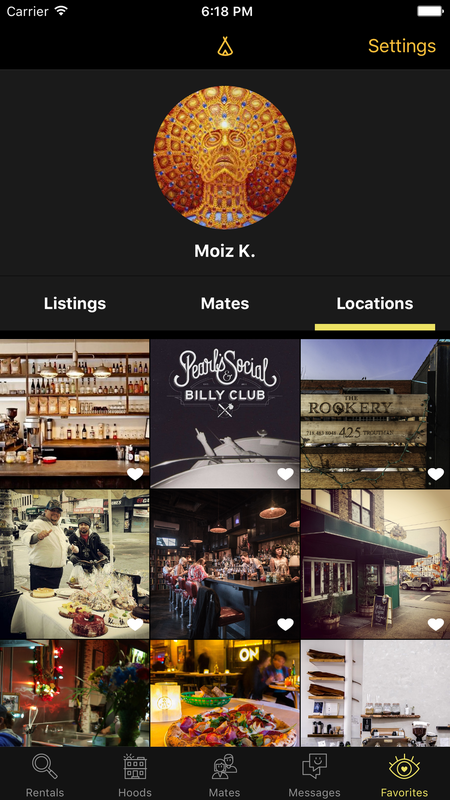 will also help you find roommates, choose the perfect neighborhood and discover local businesses. Check out the five ways to make the most of the new app, which is currently available for FREE DOWNLOAD on iOS. Discover the best coffee shops, music venues, and more! 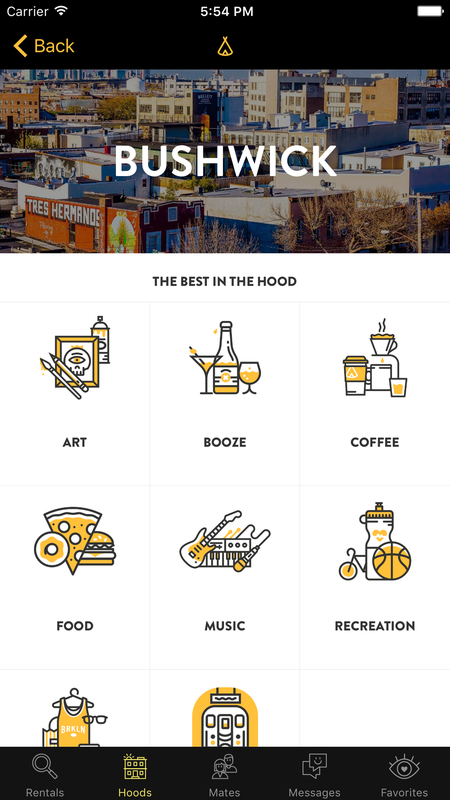 Nooklyn’s hyper-visual neighborhood guide is curated by locals. 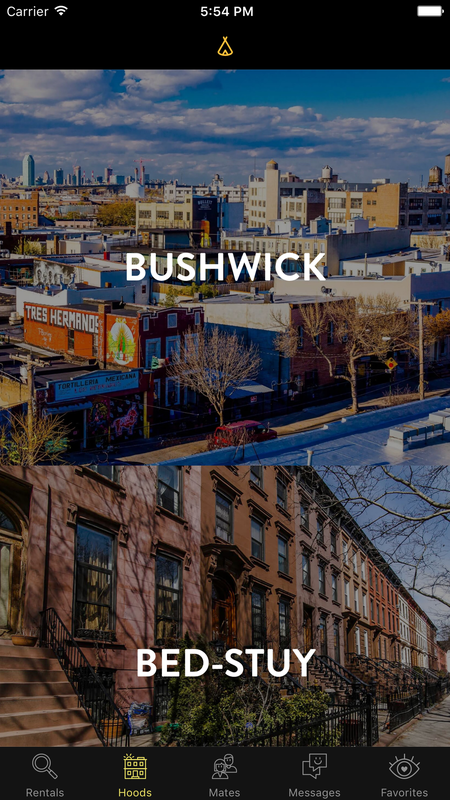 If you’re new to NYC or simply ready to change neighborhoods, this tool will be your BFF. Nooklyn is always on the lookout for new businesses, so you may even discover something new in your current neighborhood. Once you've zoomed in on your hood of choice just tap a location to scope your (potential) new home. 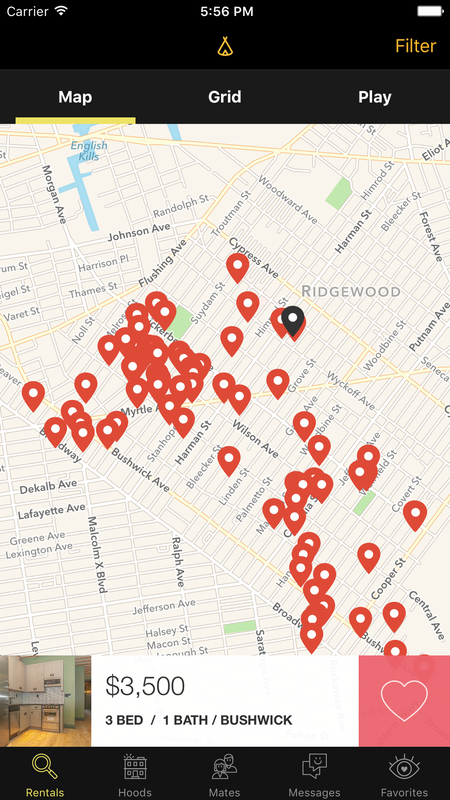 Once you’ve refined your search to a neighborhood (or two), use Nooklyn’s location specific tool to scope out places. If you’ve used Nooklyn’s site you know this feature is the bomb. It's similar to Craiglist’s “search by location” tool but much more user-friendly. Swipe right if the budget fits, talk about your mutual love of cats later. The Play feature is the quickest and easiest way to assemble a collection of favorite potential roommates and apartments. Swipe through profiles (don't act like you've never used Tinder) to automatically add people and places to your favorites for later consideration. This is a quick way to make sure your choices meet your budget. #4 Spend Time With Your "Favorites"
Choose from your favorite locations and potential roomies. It’s much easier to focus on who and what’s right for you once you’ve sifted through the masses. Message Nooklyn realtors and potential mates to take the process further. Now is when you dig deeper into your favorite neighborhood or talk about cat allergies. Sound better than messaging faceless brokers on Craigslist? We think so too. Get the Nooklyn app for your iPhone here.